The morning of the wedding had finally arrived. We had a full house with my cousins staying with us (BMan J and his girlfriend, BM Megs and BMan TLW) and we all woke up buzzing with excitement. Mr. Narwhal and I did not plan to exchange gifts (our rings were a big enough gift! ), but I did have one surprise planned for the morning of the wedding. 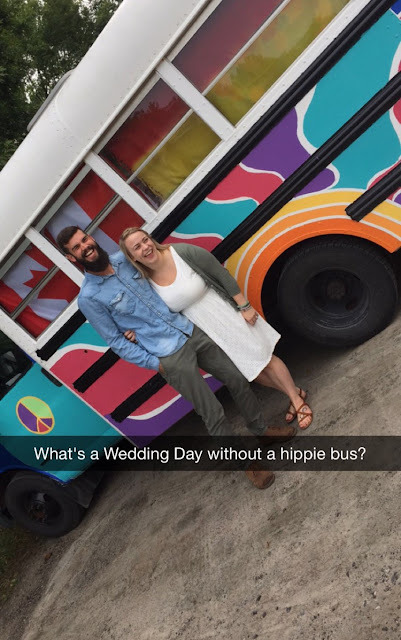 A few weeks before the wedding BM Click approached me about picking us up for breakfast in her boyfriends hippie bus. 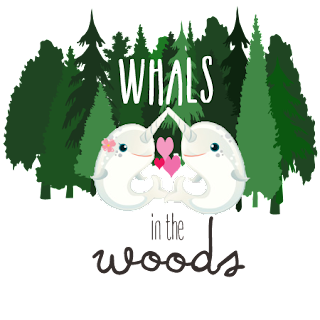 I was so excited about the idea, and decided to keep it a secret from Mr. Narwhal. I told him I had arranged for us to be picked up, and after a few failed guesses he submitted to the idea of the surprise. I wish I could have captured the exact look on his face when they pulled in, because he was completely surprised, and super excited. We all climbed in and headed to breakfast. It was the perfect start to the day riding along the highway in a massive hippie bus. I've personally never been in a limo, but I'm going to say this was way better! I get a cheesy grin just thinking about it. By the time we arrived a good portion of the wedding party was already gathered in the back room of my mom's restaurant. I'm so glad we opted for a breakfast with everyone instead of a formal dinner. It was so nice to share a delicious meal to kick start the day. Did you have a less than traditional rehearsal meal?